Add a laid back touch to your wardrobe this season with the Baz slip-on espadrille. Slip-on construction. Closed toe. Lightly padded canvas footbed. Jute rope wrapped midsole. Man-made outsole. Imported. The Dolce Vita Halle is relaxed-chic, ideal for those casual days off. Soft textile upper features a knotted vamp. Slip-on. Fabric lining. Lightly cushioned man-made footbed. Man-made sole. Imported. Measurements: Weight: 5 oz Product measurements were taken using size 7.5, width M. Please note that measurements may vary by size. Weight of footwear is based on a single item, not a pair. 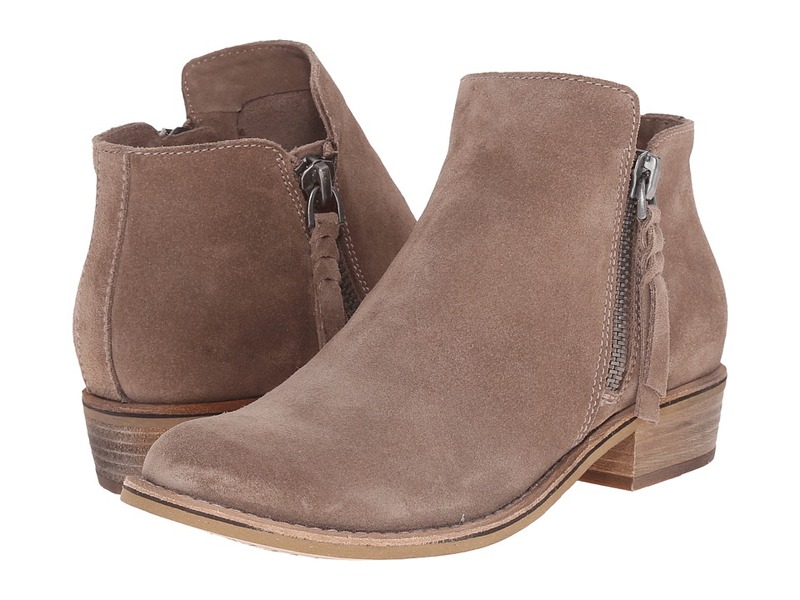 A beautifully crafted, casual boot from Dolce Vita. Genuine leather upper. Pull-on wear with rear pull tab. Round, oil-distressed toe. Leather lining and footbed. Synthetic outsole. Imported. Measurements: Heel Height: 1 in Weight: 9 oz Platform Height: 1 2 in Product measurements were taken using size 7.5, width M. Please note that measurements may vary by size. Weight of footwear is based on a single item, not a pair. Bring subtle sophistication to your everyday outfits with the Dolce Vita Sutton. 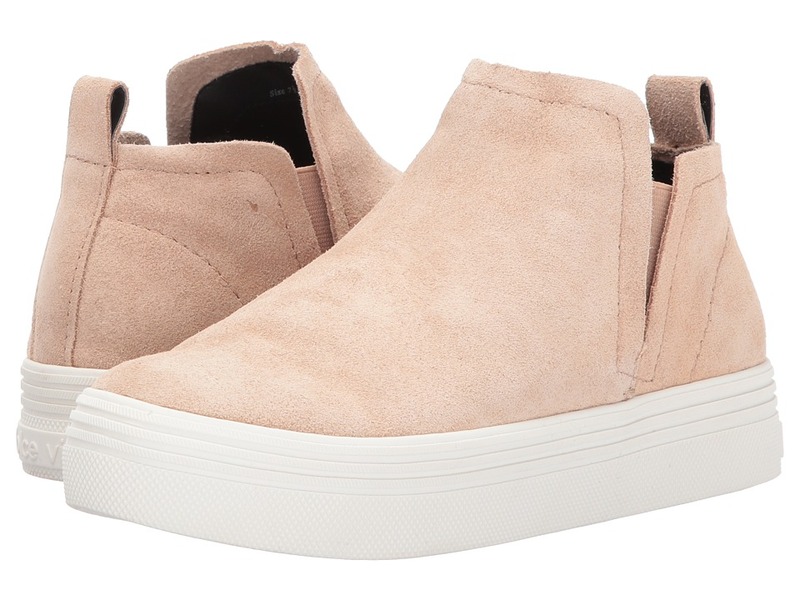 Suede leather upper features light distressing. Dual zipper closure with tassel pull. Round toe, ankle boot silhouette. Leather lining and padded footbed. Stacked heel. Synthetic sole. Imported. Measurements: Heel Height: 1 1 4 in Weight: 15 oz Circumference: 10 in Shaft: 5 in Product measurements were taken using size 8.5, width M. Please note that measurements may vary by size. Weight of footwear is based on a single item, not a pair. 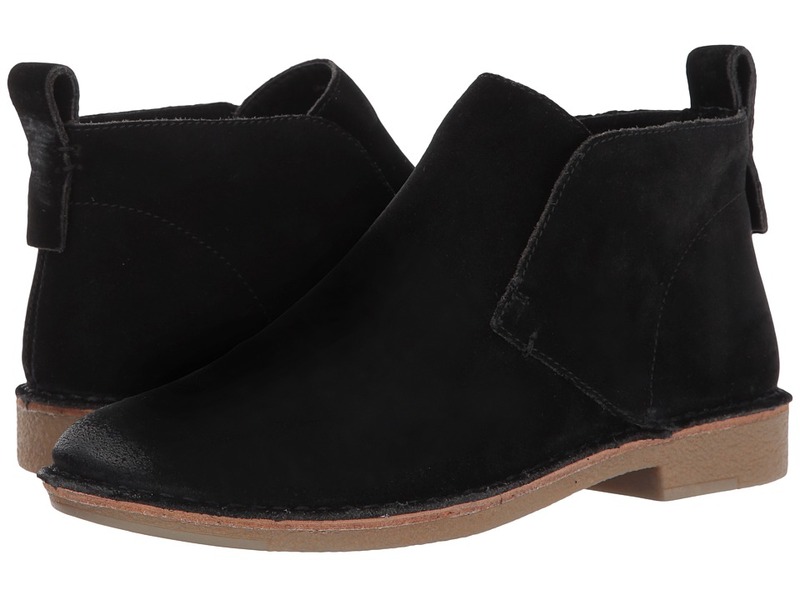 The Tay ankle boot holds timeless style that will bring a classic vibe to all your outfits. Suede or velvet upper. Note: Upper material is listed in the color name. Pull-on construction. V-slit elastic goring. Almond toe. Textile-lined. Cushioned comfort insole. Stacked block heel. Synthetic sole. Imported. Measurements: Heel Height: 1 1 2 in Weight: 12 oz Product measurements were taken using size 8, width M. Please note that measurements may vary by size. Weight of footwear is based on a single item, not a pair. Dress up your casual look with the Dolce Vita Kids Wren sneaker. Smooth, faux-leather upper. Perforations at midfoot for added airflow. Lace-up closure. Pull-tab at rear. Glitter details for added pop. 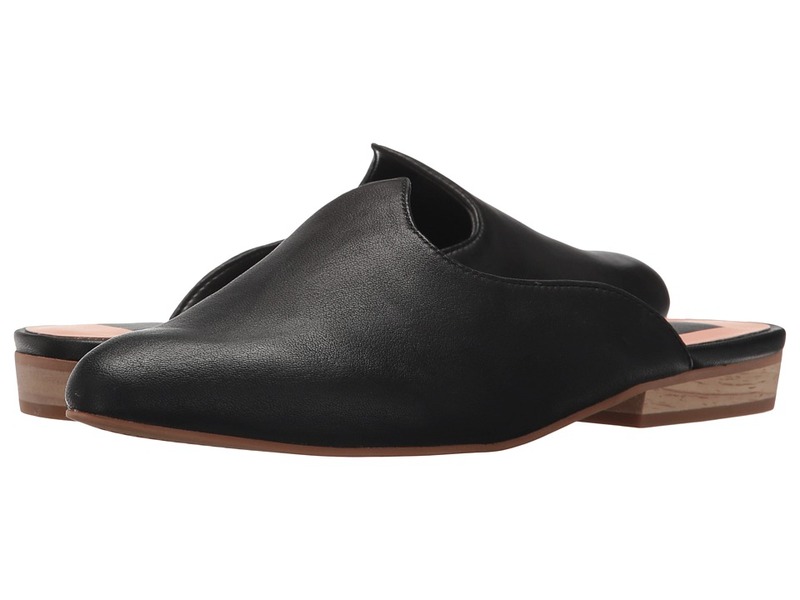 Faux-leather lining and footbed. Synthetic outsole. Imported. Measurements: Weight: 10 oz Platform Height: 1 1 4 in Product measurements were taken using size 2 Little Kid, width M. Please note that measurements may vary by size. Weight of footwear is based on a single item, not a pair. 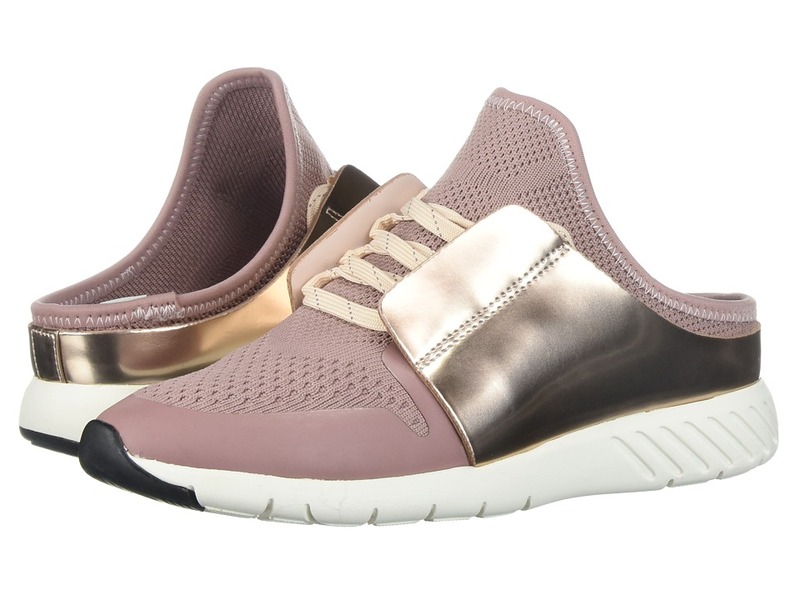 Sprint ahead in style with the chic Dolce Vita Yana trainer. Leather and textile upper. Lace-up construction with rear pull tab. Round-toe silhouette. Signature logo hardware detail. Textile lining and footbed. Rubber outsole. Imported. Measurements: Weight: 9 oz Product measurements were taken using size 7.5, width M. Please note that measurements may vary by size. Weight of footwear is based on a single item, not a pair. If it~s the height of stylish shoes you seek, look no further than the Maude. Suede leather upper. 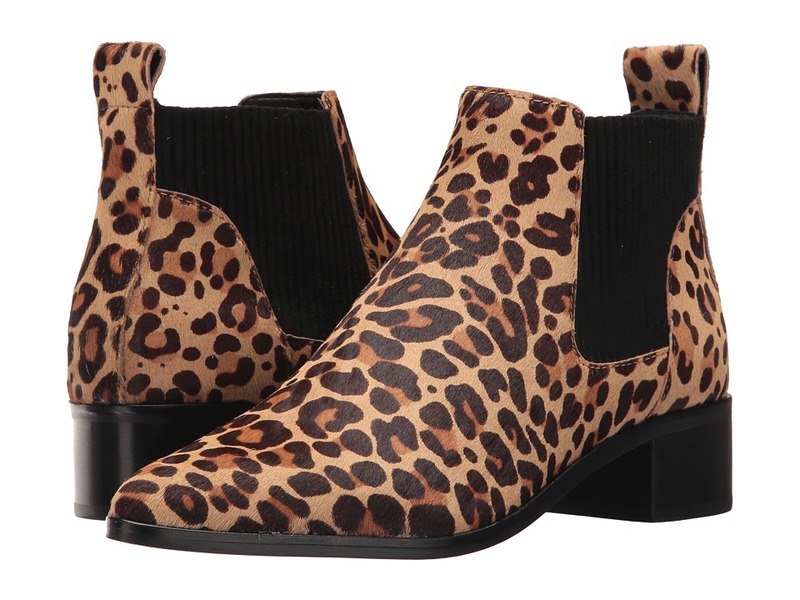 Note: Leopard style is made from dyed real calf hair fur, imported from China. Inside zipper closure. Rounded toe. Fabric-lined. Cushioned comfort insole. Wrapped block heel. Man-made sole. Imported. Measurements: Heel Height: 2 1 4 in Weight: 13 oz Circumference: 9 1 2 in Shaft: 6 1 2 in Product measurements were taken using size 7.5, width M. Please note that measurements may vary by size. Weight of footwear is based on a single item, not a pair. For superior street wear, check out the ultra chic Dolce Vita Tate! Suede leather upper features tonal stitching. Slip-on construction with elastic goring. High-top silhouette. Fabric lining and padded insole. Rubberized midsole. Man-made sole. Imported. Measurements: Weight: 13 oz Product measurements were taken using size 8.5, width M. Please note that measurements may vary by size. Weight of footwear is based on a single item, not a pair. A sleek modern upgrade makes the Macie 2 a must-have for the season. Upper made of real dyed calf fur. Fur origin: China. Pull-on construction. Pointed toe. Synthetic lining. Cushioned insole. Stacked block heel. Man-made sole. Imported. Measurements: Heel Height: 1 1 2 in Weight: 14 oz Circumference: 11 in Shaft: 4 1 2 in Platform Height: 1 4 in Product measurements were taken using size 9, width M. Please note that measurements may vary by size. Weight of footwear is based on a single item, not a pair. 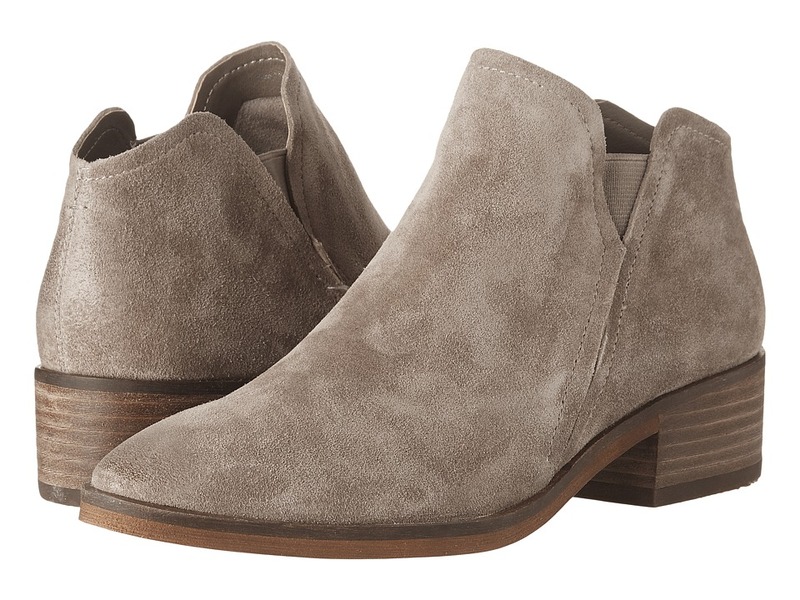 The Stevie captures contemporary fashion to a T, with its classic silhouette and warm hues. Upper made of rich suede leather. Back zipper closure. Almond toe and asymmetrical collar. Soft synthetic linings. Non-removable insole. Stacked block heel. Man-made sole. Imported. Measurements: Heel Height: 3 in Weight: 14 oz Circumference: 11 in Shaft: 4 1 2 in Platform Height: 1 2 in Product measurements were taken using size 9, width M. Please note that measurements may vary by size. Weight of footwear is based on a single item, not a pair. With its lightweight fabric and sporty design, the Tatum is a wardrobe essential. Breathable fabric upper with smooth synthetic overlay. Lace-up and slip-on. Extended tongue. Rounded toe. Breathable synthetic lining. Padded comfort insole. Rubber platform and sole. Imported. Measurements: Heel Height: 1 in Weight: 7 oz Platform Height: 1 2 in Product measurements were taken using size 9, width M. Please note that measurements may vary by size. Weight of footwear is based on a single item, not a pair. With its lightweight fabric and sporty design, the Tatum is a wardrobe essential. 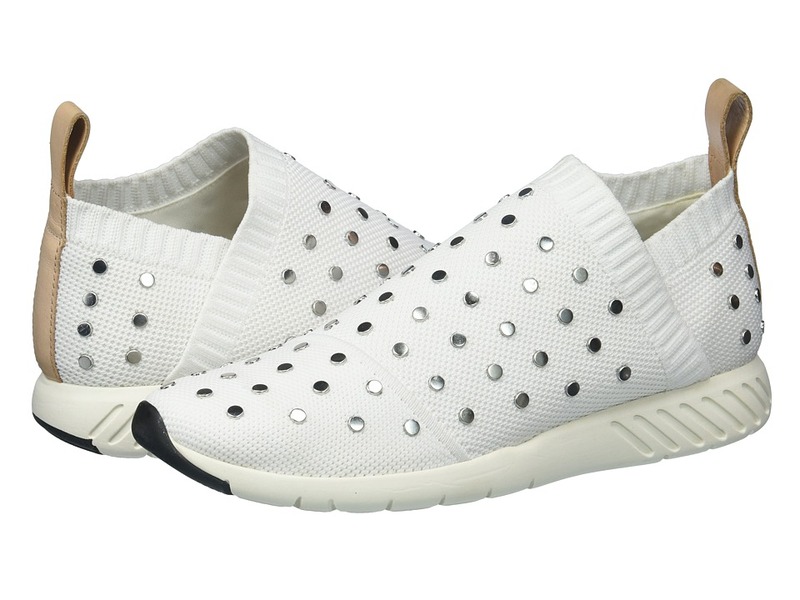 Breathable fabric upper features studded design. Pull-on construction with heel tab. Ribbed collar. Rounded toe. Fabric lining. Padded comfort insole. Rubber platform and sole. Imported. Measurements: Weight: 7 oz Product measurements were taken using size 7.5, width M. Please note that measurements may vary by size. Weight of footwear is based on a single item, not a pair. Add the ALDO Halo high-heel city sandal to any outfit this season for an alluring, head-turning look. Leather or fabric upper. Ankle strap with buckle closure. Open toe. Synthetic lining. Lightly padded footbed. Stiletto heel. Man-made sole. Imported. Measurements: Heel Height: 3 1 2 in Weight: 7 oz Product measurements were taken using size 7.5, width M. Please note that measurements may vary by size. Weight of footwear is based on a single item, not a pair. 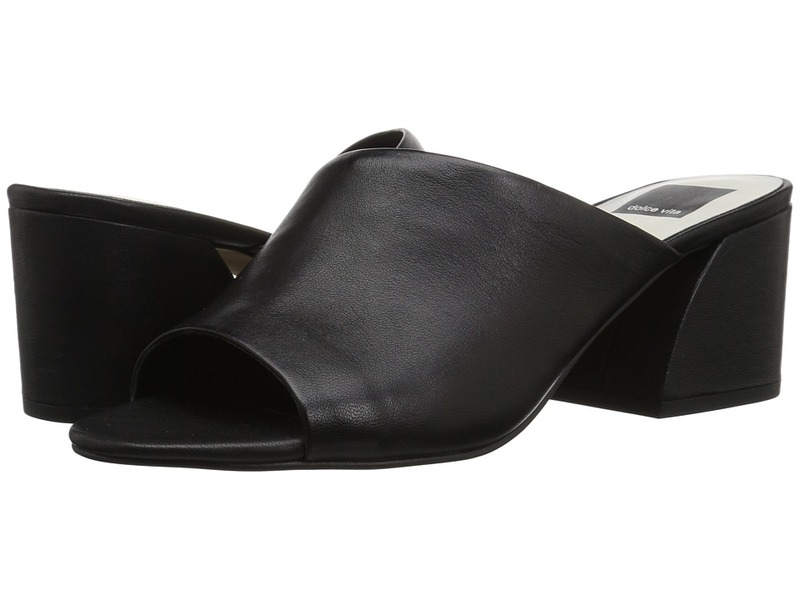 Keep your seasonal style chic and comfortable with the Dolce Vita Juels mule saldal. Leather or suede upper. Slip-one style. Open toe. Synthetic lining and footbed. Wrapped block heel. Man-made sole. Imported. Measurements: Heel Height: 2 1 2 in Weight: 9 oz Product measurements were taken using size 9, width M. Please note that measurements may vary by size. Weight of footwear is based on a single item, not a pair. 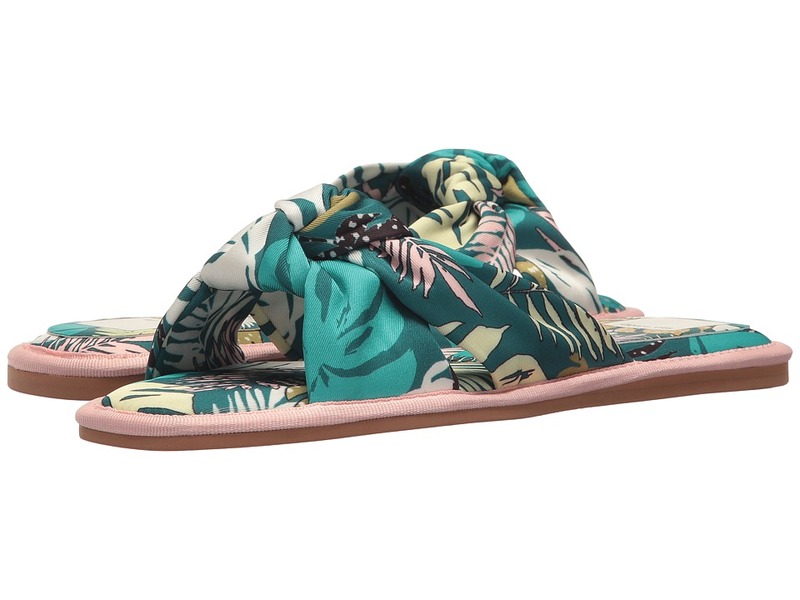 Slip into effortless comfort and style with the Dolce Vita Marco mule flat. Upper made of premium full-grain leather. Slip-on style. Wingtip design at vamp. Almond toe. Breathable cotton lining. Lightly padded footbed. Low block heel. Rubber sole. Imported. Measurements: Heel Height: 3 4 in Weight: 6 oz Product measurements were taken using size 7.5, width M. Please note that measurements may vary by size. Weight of footwear is based on a single item, not a pair. A stylish yet classic heel, the Maureen is perfect for the office or after-work dinner. Leather fabric upper. Slip-on style with slingback strap. Pointed toe. Synthetic lining. Lightly padded insole. Wrapped heel. Man-made sole. Imported. Measurements: Heel Height: 4 in Weight: 7 oz Product measurements were taken using size 7.5, width M. Please note that measurements may vary by size. Weight of footwear is based on a single item, not a pair. Elevate your evening ensembles with the classic and elegant Mika pump. Suede or leather upper. Slip-on construction. Pointed toe. Synthetic lining. Man-made insole. Wrapped heel. Man-made sole. Imported. Measurements: Heel Height: 3 1 2 in Weight: 8 oz Product measurements were taken using size 8, width M. Please note that measurements may vary by size. Weight of footwear is based on a single item, not a pair.